“Despite progress in education, too many of our schools are still lagging behind — some way behind,” Gov. 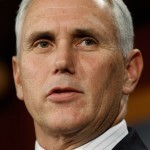 Mike Pence told assembled Indiana General Assembly lawmakers in his first-ever State of the State address Tuesday night. While some prominent statehouse Republicans have called for more money for K-12 education than the governor has, Pence highlighted his budget’s proposal for increased funding for full-day kindergarten in his address. The education section comprised more than 1,100 words of Pence’s 3,200-word speech — let us know what you thought of it in the comments section below. Our jobs budget is all about getting this economy moving, but we can’t succeed in the marketplace if we don’t succeed in the classroom. We have to put kids first and ensure that every child in Indiana has access to a world-class education at public school, public charter school, private school or home. I’m sure everyone in this Chamber has a favorite teacher. Mine is sitting right up there in the balcony-our new First Lady Karen Pence. My wife Karen has spent her career in the classroom. We both believe teaching is a calling, and Indiana has the best teachers in the world. When most people tell you about their favorite teacher, they tell you about the one who pushed them the hardest, who challenged them to grow; the teacher who held them to a high standard. Those teachers know that setting high expectations works. We believe that, too. Indiana teachers and schools have shown that they will rise to the challenge and make tremendous gains for our children. This October, we learned that 207 schools received the highest school ranking for the first time. Forty-three schools moved up three letter grades. Twenty-eight schools moved from the lowest ranking to a mid-ranking. This is a testament to the commitment and excellence of our teachers, and proof that our accountability system produces gains for our schools. When it comes to our public schools, I believe we should fund excellence in our schools and our teachers. That’s why we proposed an increase in funding for schools each of the next two years, with the second year based on school performance and an additional $6 million in teacher excellence grants to increase pay for our high-performing teachers. We must continue to take steps to ensure that every third grader can read, to promote math proficiency by elementary students and to invest in highly successful drop-out prevention programs like Jobs for America’s Graduates. And our administration also will work with our new Superintendent of Public Instruction to cut the red tape that teachers face in the classroom, and let them teach. Our children will get the best education when good teachers have the freedom to teach and are rewarded for excellence. I have long believed that parents should be able to choose where their children go to school, regardless of their income. We must continue to expand educational opportunities, especially for those with the fewest resources, beginning with pre-K education. High-quality early education programs can have immediate and long-term positive effects for our kids. Many communities across Indiana are already launching efforts to provide pre-K programs for at-risk children. One of the best examples is the Busy Bees Academy in Columbus, which serves at-risk and disadvantaged children in my hometown. Let’s work together to expand incentives for Hoosiers to support this kind of innovative, community-driven pre-K effort for our low-income children. In recent years, Indiana has given parents who previously had few choices the ability to choose the public or private school that best meets the needs of their family. This fall, more than 9,000 students attended a school of their choice. Like Kennedy Davis and her brother Isaiah. The Davis family, from Indianapolis, used the voucher program to send Kennedy to first grade at Trader’s Point Christian Academy. She’s a second grader there now and her brother Isaiah is in kindergarten thanks, in part, to Indiana’s school scholarship and tax credit program. Kennedy and Isaiah are thriving. They’re with us today. Keep it up, kids, Indiana is proud of both of you! We’ve made progress in expanding choices, but we can do more. Expanding tuition tax deductions, removing the prior year requirement and lifting means testing for foster, adopted, special needs and military families would be a good start. But when graduation comes, we want to make sure that our schools work for all our kids, regardless of where they want to start in life-whether they are headed for college or want to start a career right out of school. Let’s be clear, every Hoosier child should be encouraged to go to college, and we must work to make sure our kids are college ready and make college more affordable. To that end, we are proposing to increase funding to our state-sponsored colleges and universities and to tie our funding and financial aid to on-time completion. Even as we encourage every student to go to college, we recognize not every student is college bound. But they all deserve the same opportunity for success. Since all honest work is honorable work, our schools should work just as well for our kids who want to get a job as they do for our kids who want to get a college degree. The time has come to make career, technical and vocational education a priority in every high school in Indiana. To expand career and technical education, we need greater collaboration between agencies, and I propose we create Regional Works Councils to work with business and educators across the state to develop regional, demand-driven curricula to bring high-paying career options to more Hoosiers in high school. And don’t think for a minute that career and vocational education is about limiting the future for some of our kids. Let me introduce you to Bill Beach. Bill and his wife Juanita are with us tonight, but we had to work hard to get them here. Turns out his New Albany-based business, which specializes in injection molding and precision tool making, is booming. He’s running three shifts and employs 600 Hoosiers in a 410,000-square-foot manufacturing facility. So Bill went to vocational school. They started their company in 1972. As we looked out over the hugely successful business he’s running today, I turned to him and said, “Bill, turns out your dad was right. You are good with your hands. Look at what they built!” Join me in commending Bill and Juanita Beach for being such a great example of the American dream. Career and technical education can provide our students with a pathway to success, just as it did for Bill. It can launch entrepreneurs, give kids a reason to finish high school, and create a well-qualified workforce that will encourage business to build here and grow here. We have to give our kids, our future, every opportunity for success. That means quality schools, choices about their education and multiple pathways to success. The more our kids succeed in the classroom, the more Indiana will succeed. UPDATE: General Assembly Democrats offered their reactions shortly after Pence concluded his address, praising the governor for his advocacy of early childhood education programs. But House Minority Leader Scott Pelath, D-Michigan City, and Senate Minority Leader Tim Lanane, D-Anderson, also pointed to state superintendent Glenda Ritz’s victory over Tony Bennett as an indicator of public opinion on education issues.